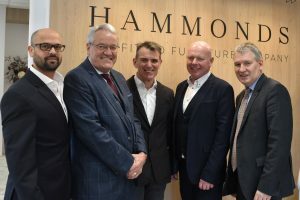 Quality fitted furniture manufacturer and retailer, Hammonds, has received an investment from HSBC UK (HSBC) and Frontier development Capital (FDC) to support a management buyout (MBO). The MBO brings 100% share ownership to third-generation family members – Richard Hammonds, Group CEO and Mark Hammonds, Group Director. 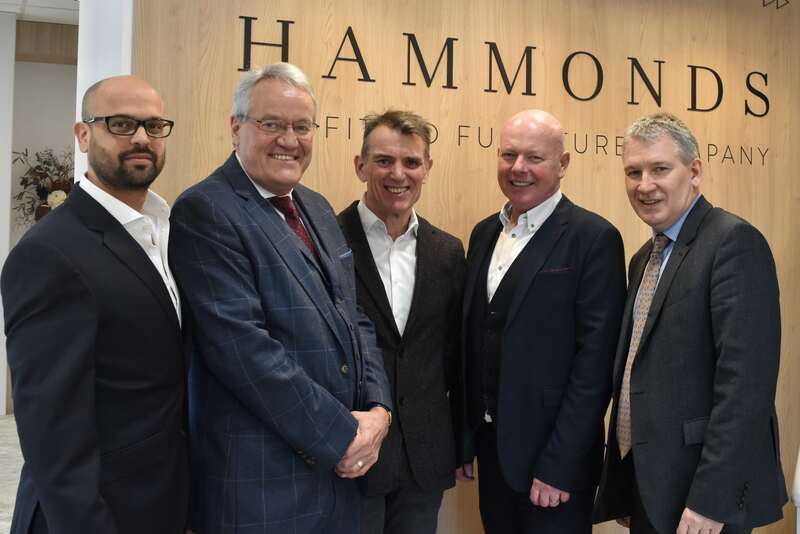 Founded in 1926 in Hinckley, Leicestershire, Hammonds supplies fitted bedroom, kitchen and home office furniture to both the home improvement and new build markets. With 89 showrooms across the UK, Hammonds manufactures over 250 orders per day from purpose-built facilities in Hinckley and distributes these nationally via 15 regional service centres. The family-run business has 837 members of staff and achieves an annual turnover of over £85m. “I am personally delighted to have led this MBO process that will now enable us to continue to build upon the long-standing success of the company. Over the last two years we have introduced a successful succession and management team to provide the continuity and strength to enable the group to carry on developing our range and product portfolio in the future. “The MBO provides us, as third-generation owners, with the ability to protect our well-established brand and values, as well as offering continued opportunities for growth. We are currently introducing new and exciting fitted bedroom and kitchen ranges, and I look forward to developing the business further and supporting our long-standing relationships with both customers and suppliers. “Jasmin Advisory LLP is delighted to have supported the family owned business in reaching this MBO, following a period of planning and structuring for future ownership, enhancing a strong management team structure that will take the group forward under a third-generation of family ownership – congratulations”. “Hammonds is a renowned family business, with a longstanding legacy across the UK for quality and craftsmanship. We’re thrilled to be able to support Richard and Mark in funding this MBO, which will see the shareholding consolidated across an experienced and driven management team. Frontier Development Capital provide access to flexible investments of up to £7million, deploying funds nationwide via their offices in Birmingham and Manchester. FDC and HSBC UK were advised by FRP Corporate Finance, Birmingham. Legal services were provided by Gateley Plc (the company), Shakespeare Martineau (FDC), Higgs & Sons (the vendors), and Pinsent Masons (HSBC UK).